The end is in sight, literally – we’re in New Quay and can see the lights of Aberystwyth twinkling in the bay, and beyond it some places already seen – the Lleyn peninsula and Snowdon. We’re taking it slowly to savour every last moment, and because I’ve picked up a new member of team adventure. Floss is an eight-year-old jenny, and she’s a bit fat and unfit so we’re doing gentle mileage for the sake of her little hooves. 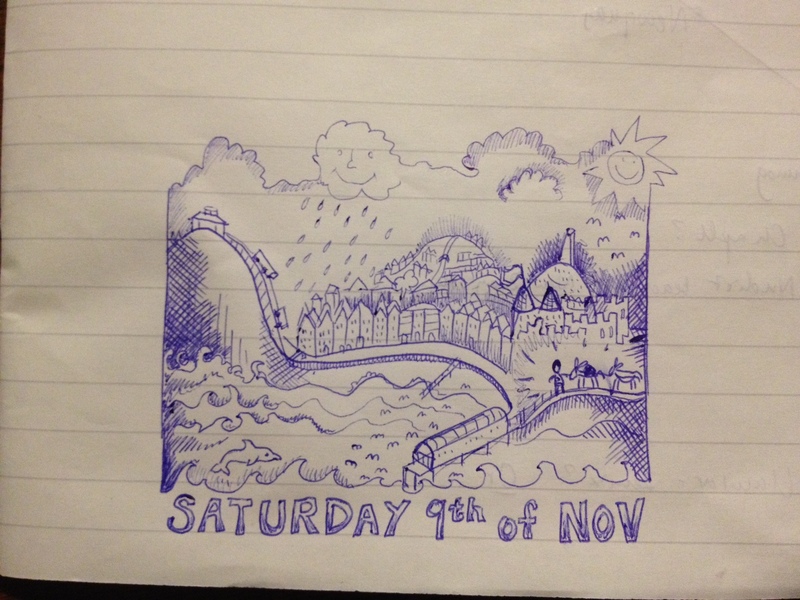 We’ll be getting back, last-minute disasters notwithstanding, on Saturday afternoon, the 9th of November. If anyone wants to come and see us in, we’ll be kicking the bar (for a summary of why people kick the bar in Aberystwyth, see here: ) and then going to the pub! The bar to kick is at the far north end of the prom, just below Constitution Hill. We hope to be there at 2pm for whoops and hugs, and then we’ll all walk together, donkeys et al, to the pub, which is the Starling Cloud (https://www.marstonstaverns.co.uk/aberystwth/starlingcloud). Anyone who doesn’t fancy the walk (or if it’s raining like crazy) can go straight to the pub – I guess we’ll be getting there between 3 and 4pm. The donkeys will chill out in the beer garden, while we have a celebratory pint or two, and then we can walk them to their night spot at the nearby allotments. Anyone is welcome to join us, but it’s just a wee do – no expectations or pressure. I shall probably be very happy and a little emotional, whoever turns up! Oh, how I wish I were able to beam myself across the ocean to be there. I’ll raise a pint for you here instead. Hannah, I have so enjoyed your writing and photos of your journey. Thank you for sharing. Lovely to finish with two donks, and I’m pleased to see Chico will have a companion at the end of his journey. Flo is a pretty donkey! Great end to your journey. Email photos on Saturday and I’ll do another special on my donkey blog on the day. I cannot believe you have already walked so many miles! 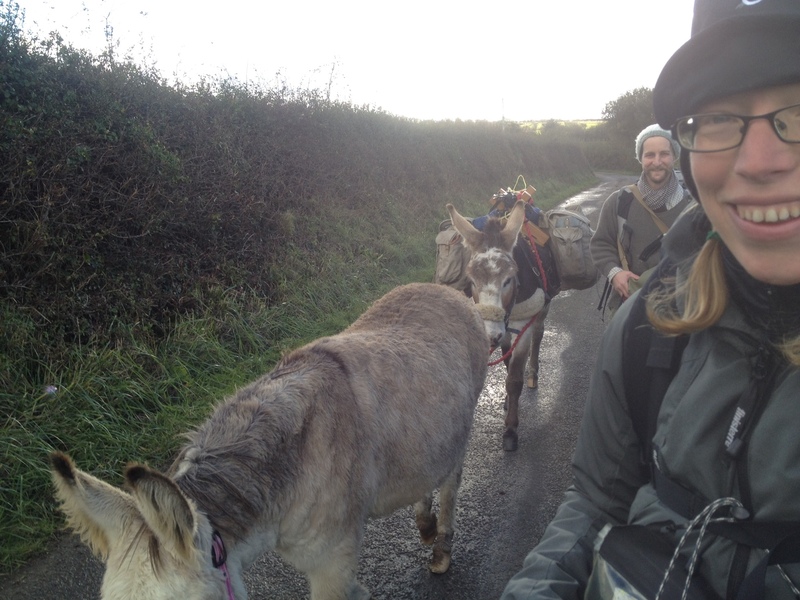 And to pick up another donkey as well! I’d like to say I’ll be thinking of you on Saturday, but my mind will be on my own move, trying to get last minute things done. So, here’s to you and Chico for a job well done and a story that will make a fine book! Hannah, I have really enjoyed following you on your journey – I hope you have a wonderful homecoming!